MobilityeCommerce is a one stop solution that leverages ERP to Automate Omnichannel Sales and marketing. Reach every potential customer in-store, online and worldwide with Mobilityecommerce. MobilityeCommerce maximizes opportunities for wholesalers, distributors, retailers, drop-shippers, product companies and manufacturers. Conquer local , social and mobile marketplaces. 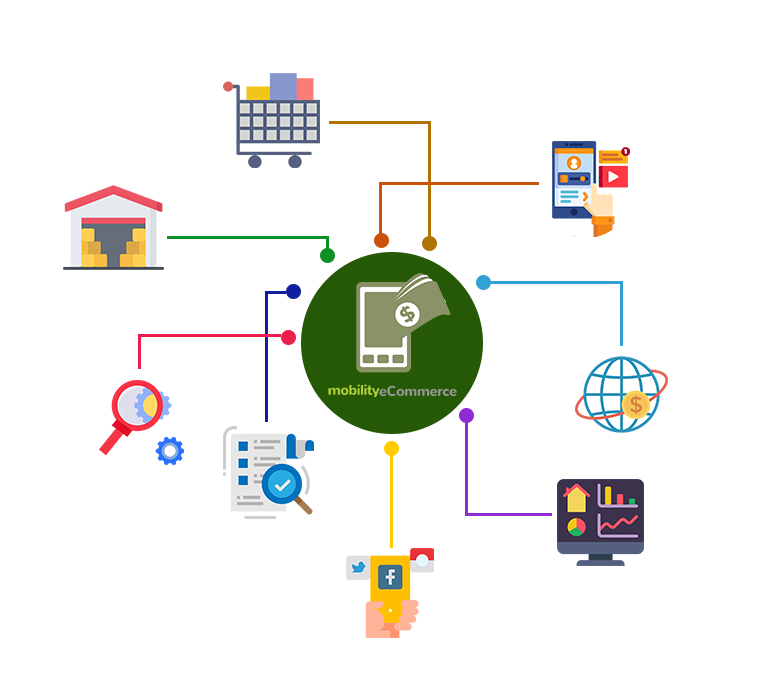 MobilityeCommerce is modular and scalable . Easy to implement and use. How can MobilityeCommerce help you ? View & Manage Purchase order payments, Sales order profitability, COGS variations, reports, inventory, valuation and many more. Automated product placement promotion and track your competition. Simple and easy to use with powerful features. Integrated platform provides a one stop solution from sourcing to shipping. Adjust price using our intelligent pricing engine to ensure maximum sellout; profits and analyze profitable dropshippers and inventory. Talk to our of our experts today and know more about MobilityeCommerce services and various Integrations.